It’s known that relationships are very important as marketing and sales tool. Today 20th January 2017 RFIDSoluzioni (RFID Sistemi Srl) is prowd to announce the new relationship with UID Italia Srl. 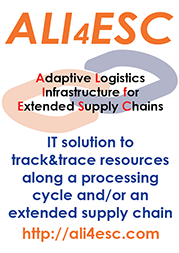 This idea stems from our concerne to speak about RFID technology, its advantages and implementations. Let me introduce you to our new partner. Uid Italia s.r.l is focused into traceability of the production process for laundry, hospitals and everything has an onsite laundry service. Our new partner is able to offer a complete hardware and software solution, project and realise IT solution about laundry applications for who has a laundry internal service like hospital, hotel, gym or nursing. For further informations about our new partner visit http://uiditalia.com/. 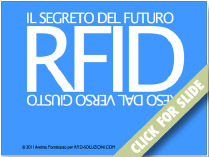 Datasheets, white papers and technical descriptions about RFId World. 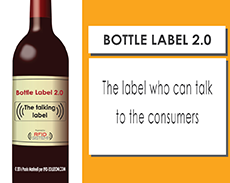 Fill your information in the fields below to free download the slides about "Bottle label 2.0, the label who can talk to the consumers".